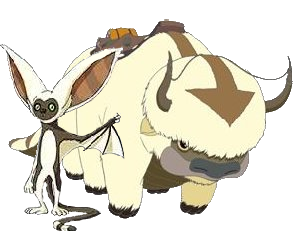 Nickelodeon Action-Adventure/Fantasy/ Comedy-Drama created by Michael Dante DiMartino & Bryan KonCetzko, Avatar the Last Airbender aired in 2005 on Nickelodeon and ran for three seasons to 2008. The premise was really simple but enough to pique the curiosity of any channel flipping viewer: a fun-loving boy with air element powers along with his group of friends are on the run from the evil Fire Nation who want to stop the boy—Aang— from fulfilling his destiny of saving the world by bringing balance after one hundred years of strife. That’s what caught my attention. I’d stopped watching the channel after Nickelodeon had axed Danny Phantom, with Fairly Oddparents on the bubble. The animation is American-style-anime, containing more anime elements than many American animated shows at the time. The story turns out to be far more intricate and complex than the premise would lead a casual onlooker to believe. The fuller story of the world’s state as Aang is discovered is told by Katara in the opening narration to the series. She also describes the Avatar Cycle, which indicates the order in which nature confers an Avatar to each element and its people. The Fire Nation has been expanding its empire for a century through generations of war with the other element countries who resist. The originator of the war, Fire Lord Sozin, was unable to complete it. His son, Azulon, continued the conflict, and after him, his son Ozai. One hundred years before the events of the series even begin, the last Avatar, Roku, died in the line of duty. The new Avatar was born to the next element in the cycle—Air. The Fire Lord, aware that should the Avatar come into power, he or she would stand against his plans, commanded that all Air Nomads be hunted down and killed. Pretty heavy for a kids show, I know, but the majority of this happens off screen. Somehow—and we find out how as the series unfolds—they missed one airbender, Aang, who was discovered frozen in an Iceberg by Katara and her brother, Sokka. The characterization of the show is nothing short of amazing. 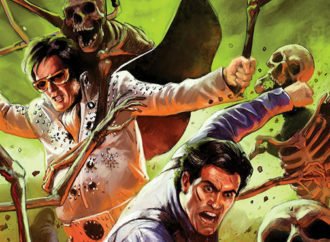 The series was written with intentional continuity. Events that happen in early episodes are foreshadowing for or connected to events in later episodes (or events in the sequel series Legend of Korra). The show has garnered critical acclaim for the respect it pays to Asian culture and spirituality, for the fact that the bending disciplines are all based on real world martial arts (and that masters of those selfsame arts were consulted so they could be accurately and respectfully portrayed), as well as for the number of Asians employed for animation and acting. 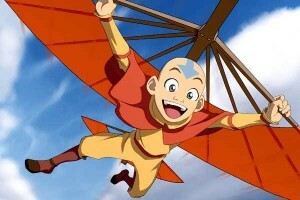 The Avatar: Aang, age (one hundred and) 12. He’s a sweet, pacifistic, vegetarian kid. He’s also the Avatar, and not happy about it because of the weight of responsibility placed on his young shoulders a full four years before an Avatar is usually identified and given such. He suffers from survivor’s guilt at having not been present to protect the Air Nomads when the Fire Nation wiped them out, making him the only airbender left. At the beginning of the series, Aang is an airbender only, and must learn the elements of water, earth, and fire before he is considered fully realized and able to do his duty. To accomplish this he must find teachers which sets off his worldwide journey of discovery, all while trying to survive long enough to get it done. Gentle and kind, Aang much prefers to evade and avoid fights rather than get in to them; that’s part of his character development as the series goes on—the only way to restore balance to the world requires him to defeat the Fire Lord to stop the Fire Nation’s expansionistic and genocidal tendencies. He is also afraid of the Avatar State, his power up mode, in which he can access the knowledge of every Avatar who has come before him, and which allows him to wield all four elements simultaneously. Aang spends quite a significant time distracting himself from the seriousness of his duties out of fear, but eventually matures so he can step up and do what must be done for the sake of the world. 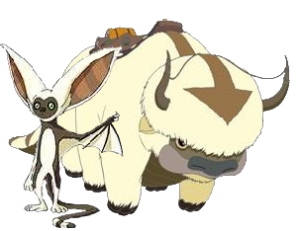 Aang rides a flying bison named Appa, who is also capable of airbending. He also acquires a flying lemur monkey he calls Momo, who is much of the series’ comic relief. These animal sidekicks are not portrayed as just dumb beasts. They’re indicated to have a degree of intelligence above that of your high end intelligent dog species, and they even get a point of view episode in season two. 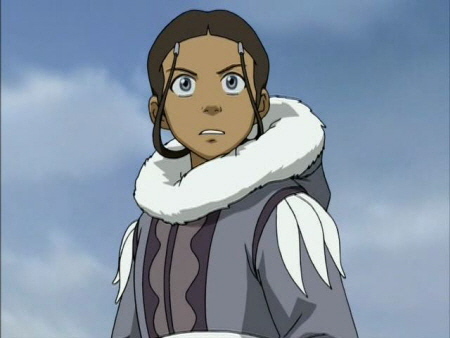 Katara: Age 14. She hails from the Southern Water Tribe, and as the series opens, is the only waterbender left—the Fire Nation has repeatedly raided her village to take anyone with waterbending abilities so they can’t fight back. She is extremely compassionate, fiercely loyal, tough, and is the emotional core of the group as it grows. She ends up as the mother figure for them all. As if this weren’t already a wonderful set of traits for a girl character in a children’s show, Katara is also an extremely powerful waterbender. As the show opens, Katara is largely untrained. But it is a rare display of temper, provoked by her brother Sokka, that disturbs the arctic waters and reveals the iceberg containing Aang, giving us a glimpse of just how good she’ll get when she does get to study properly. 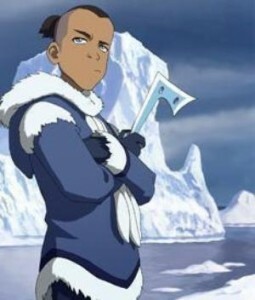 Sokka: Age 15. Sokka is a warrior in training. He and Katara are the children of the Southern Tribe Chief. Sokka is very proud of the warrior skills he learned as a small child. He is an intelligent, strategy-minded kid who is skilled with boomerang and other weapons he learns as the series goes on. He lacks any of the elemental bending abilities which is often a source of self-doubt for him. He is frequently placed in the role of comic relief and often quick with a sarcastic quip, but is still an important member of the team. He actually ends up as the idea guy for the group and comes up with most of their plans in the third season. Toph: Age 12. Not only is she the youngest and smallest of the group, but she is also blind. The disability is no impediment to her, though. 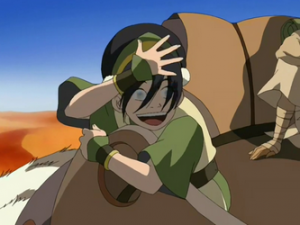 Although her parents treated her as though she were delicate and helpless, Toph is one of, if not the most, powerful earthbenders on the planet. She’s a rebel, intentionally throwing off the “helpless little girl” image her parents imposed on her, in favor of a roughneck tomboy. 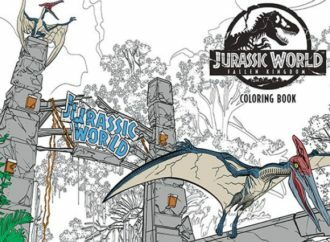 But under that image of choice, she is a very clever girl with quick wits and the wisdom to take lessons where and how she finds them. She also doesn’t consider her blindness a weakness and she not hesitate to mock the others when they forget she can’t see with her eyes. She and Katara bump heads a lot due to their opposing approaches, but similar to the more recent My Little Pony: Friendship Is Magic, there is no one right way to be a girl and that doesn’t stop them from being good friends. Prince Zuko: Age 16. Zuko is the son of the current Fire Lord, Ozai, but has been banished by his father from his home. His father has left him one way to regain favor: he must find and bring home or destroy the Avatar. He is the eldest child, but his sister Azula is the one who has the favor of the Fire Lord—a painful point for Zuko. He is, as Fire Nation royalty, a firebender. He is also a practiced swordsman. His desperation to regain his father’s love and favor is what drives him through the majority of the show and places him at odds with Aang and friends. He is one of the most visually striking characters on the show, bearing a scar over half his face in the shape of a hand. How he got it is one of the most poignant moments of backstory, which marks the point at which he goes from evil adversary to tragically misguided antagonist. General (Uncle) Iroh: Age unrevealed. He is the Fire Lord’s older brother, and as such, should have been the Fire Lord. Why he is not is revealed as the series progresses. Nicknamed the Dragon of the West, he was considered a force to be reckoned with in the Fire Nation military until he failed his year-long siege of Ba Sing Se, the impenetrable city of the Earth Kingdom, during which his own son Lu Ten perished. He returned home in disgrace, then left again when Zuko was banished, choosing to stay by his nephew’s side as company, support, and advisor. Iroh is portrayed mostly as a jovial old man who just wants to enjoy his golden years, but under that, he is still a master strategist with a mind that remains sharp even after many years. He operates on multiple levels at once and is not above using obfuscating stupidity to serve his needs, or those of his nephew, for whom he sacrifices much. He is also a member of the mysterious White Lotus Society, who appear throughout the show. As in “Gravity Falls“, there are lots of visual clues scattered throughout the background of many of Iroh’s scenes. Careful viewers will spot them. Azula: Age 14. 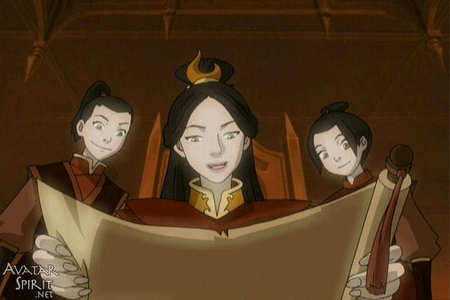 Zuko is her elder brother, but she is the Fire Lord’s fair-haired girl (despite being a brunette). Firebending comes more easily and naturally to her than it does to Zuko, which she loves to rub in at every opportunity. She has twin advisors who have helped her develop an image of the perfect, unflappable princess. Despite being favored by her father, Azula is mentally ill. Early on, Azula shows tendencies that might be described as sociopathic. Cruelty amuses her; we see her being cruel to animals for fun at a very young age. She also has manipulative tendencies, to which she adds lying and conniving. Her mother, Ursa, tried to mitigate these traits until she disappeared, never to be seen again. Her father, on the other hand, nurtured the vicious, controlling, fear-mongering tendencies he saw in his daughter, and sculpted her into his perfect weapon to deploy at the end of season one. Azula knows no other way to command but fear, and never bothered to consider other methods, dismissing them as unreliable and weak. She is also poorly socialized; she has no idea how to relate to or talk to other people when she can’t or it isn’t appropriate to command them. Mai and Ty Lee: When she is sent to bring Zuko and Iroh home as prisoners, Azula also sets her sights on the Avatar and recruits her two best friends to assist her. The three of them together are frequently portrayed as more competent than adult males in the Fire Nation military and government. 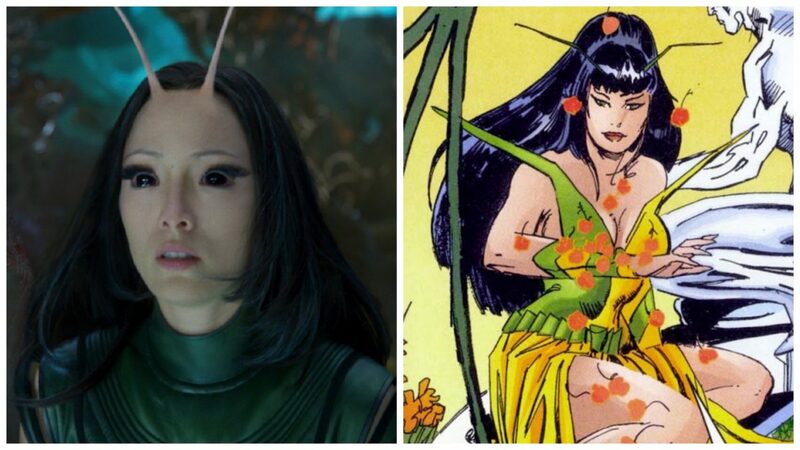 Mai is portrayed as the Medieval Asian analogue to a goth teen, declaring everything boring. She lacks bending; her weapon is throwing knives and shuriken. She has had a crush on Zuko since they were all small, which puts her in conflict with Azula’s goals. She also is the daughter of a politician which gives her more intelligence than she bothers displaying most of the time. Ty Lee is the cheerful, free-spirited one of Azula’s trio. She tends to be as new-agey as one gets in this environment, speaking of auras and mysticism. She literally ran away to join the circus and performed there happily as an acrobat before Azula located her and forcibly recruited her. Like Mai, she is not a bender. But unlike anyone else in the series, Ty Lee is capable of using a combination of martial arts and acupressure to block the chi of her opponents, paralyzing those without bending, and temporarily preventing benders from accessing their elemental ability. 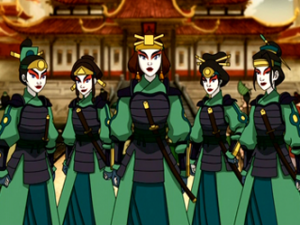 Suki: Suki is the leader of a band of all-girl warriors named for Avatar Kyoshi. None of the warriors have bending and instead fight with a combination of martial arts and battle fans. 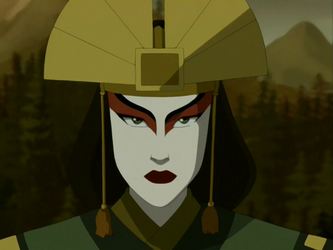 Suki first appears in season one, when Aang, Katara, and Sokka stop on their island. Sokka’s chauvinistic attitude embarrasses Katara and offends Suki until she tells him the history of her warrior lineage. Sokka apologizes to her and begins learning the ways of the Kyoshi until Zuko forces them to flee. Suki appears again in season two, becoming Sokka’s love interest, but is in no way diminished as a warrior by their romance. In fact, her martial prowess is one of the things Sokka most admires about her. 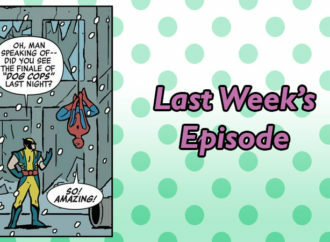 The show deftly weaves together story arcs and character arcs that overlap and interlock with each other, even if the characters themselves aren’t interacting. Often the A and B plots of an episode will have scenes that dissolve into each other or parallel each other. Aang and Zuko are foils for each other in season one. In season two, Zuko goes through a change and growth arc. He remains a foil for Aang, but Aang and Zuko each end up with Azula as an opponent. 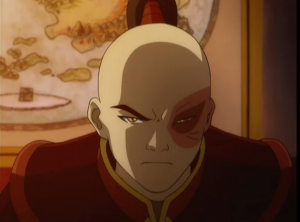 As Aang grows in power, learning water in season one, and earth in season two, Zuko learns that his family’s portrayal of the rest of the world as uncivilized savages needing the Fire Nation’s wisdom and guidance is not accurate, and that the Fire Nation perceive themselves as benevolent helpers, while the rest of the world considers them evil. Iroh’s arc takes him deeper into the role of mentor, and then restores him to the amazing strongman in body as he was in his military days. 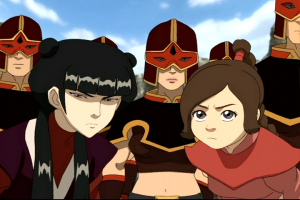 Sokka, Suki, Mai, and Ty Lee, as non-benders, each have character arcs as well. Sokka learns he is valuable even without his bending. Suki ends up growing into more of a badass even when separated from the rest of her team, and Mai and Ty Lee discover their individualities, and that friendship does not require obedience. Azula’s arc is tragic: she grew up without the love and support of a mother (who favored Zuko when she was still present), and a father who did not see her as a beloved daughter but as weapon and heir only. 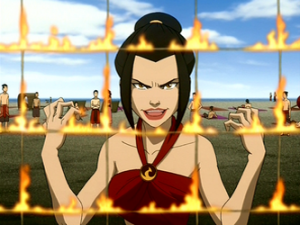 Azula is pretty much portrayed as unrepentantly evil until the season 3 episode “The Beach”. Her father, Fire Lord Ozai, is the same. 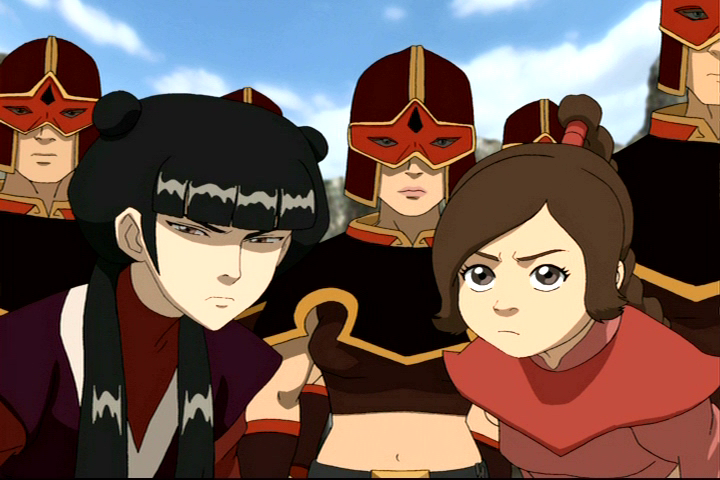 Their portrayals were closer to one dimensional until season 3, which takes place in the Fire Nation. Even the passing characters who don’t recur much get significance. Aang and his company meet up with people who are full of hope and joy at the return of the Avatar and are willing to assist in any way they can. They also encounter people who are happy to see the Avatar is back, but have been doing their own thing to resist the Fire Nation so long that they aren’t willing to place their eggs in Aang’s basket. They come up against opportunistic people who are happy to sell out the Avatar to the Fire Nation for a profit, or those who are outright hostile to the Avatar for having abandoned the world for a hundred years, leaving them to fend for themselves against a superior force. As if these wonderful morsels of characterization weren’t enough, the show is chock-full of solidly developed female characters whose individual stories and personalities add to the richness and fullness of the universe as a whole. So many in fact, that Tumblr commented on it as an animated .gif meme. Kanna: Katara and Sokka’s maternal grandmother. While Sokka considered himself the “man of the tribe” as the oldest boy left after his father took the men to fight, it was Kanna who truly ran the village. It is revealed in season one that Kanna is from the Water Tribe’s sister village at the North Pole and left it due to its oppressive tradition of strictly enforcing gender roles: men as warriors, women as healers. Kya: We barely even get to lay eyes on Katara’s mother. 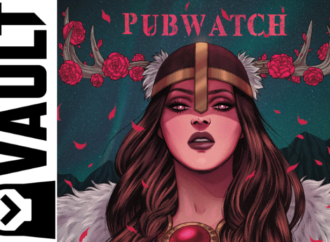 But her strength is portrayed in her fierce devotion to and love of her family, which informs her sacrifice for them. We get to see her being strong and gentle in practically the same breath, soothing a terrified young Katara even as she stands up to a Fire Nation soldier. Hama: Although she is portrayed as a villain, and one who uses her bending ability to horrifying effect, Hama is portrayed as much tragic as she is evil. She is a former prisoner of war from a Fire Nation raid on the Southern Water Tribe. Imprisoned in the heat of the Fire Nation, and kept just hydrated enough to remain alive took its toll on her until she realized that human beings themselves are a source of water. She clearly suffers from post traumatic stress, and does not resist the vengeful urges she developed after being mistreated in prison. Ursa: Queen Ursa was Ozai’s wife, and the mother of Zuko and Azula. She was (as revealed offscreen) forced into the marriage against her will, and was unhappy in her lot until her son was born. She loved Zuko dearly. When Azula began displaying cruel and sadistic tendencies, Ursa was repulsed but attempted to talk her daughter down, with little success. Ozai decided to claim his older brother’s birthright by petitioning his father Azulon, and Ursa had to sacrifice her position in the family and abandon her children for their own safety, so Ozai could succeed. Ozai banished her for her sacrifice, but her entire appearance in the show revolved around doing the best she could in one untenable position after another. Avatar Kyoshi: An earthbending Avatar, two lifetimes before Aang’s, was a warrior who was not confined to traditional gender roles. When an Earth King decided to claim her peninsula as his own, Kiyoshi denied him. When he insisted, Kyoshi used a combination of bending the elements to rip her peninsula free of the mainland and move it offshore as a new island. Unlike several of the other precursor Avatars, Kyoshi tended toward pragmatism. She was neither for killing nor against it, but saw doing so as simply part of the Avatar’s duty and occasionally necessary. The series also boasts a number of popular actors in its cast, following in the footsteps of another continuity-based and character-driven animated series, Gargoyles. Popular voice actress Grey DeLisle portrays Azula. Her father Ozai is portrayed by Mark Hamill (whose chilling run as the Joker in Batman the Animated Series is easily equaled here). George Takei (Star Trek) guest stars as one of the Fire Nation generals. Jason Isaacs (Harry Potter, Peter Pan) portrays General Zhao, Zuko’s first-season rival for finding and defeating the Avatar. 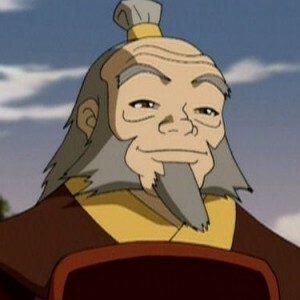 Mako Iwamatsu portrayed General Iroh until his death after season two. The series’ creators dedicated a segment in the season two episode “Tales of Ba Sing Se” to him. Hector Elozando (The Princess Diaries) portrays Wah Shi Ton, the spirit of knowledge in “The Library”. Dante Basco (fan favorite from Hook) portrays Prince Zuko. Rene Auberjonois (Star Trek: The Next Generation) portrays the Mechanist, one of Aang’s allies. Character actor James Hong not only does several voices in the cast but is given an animation shout out in the season two episode “Avatar Day”. Scott Menville (Teen Titans) does several of the voices in the show as well. Is the show perfect? Close, but no kewpie doll. Mental illness is played for laughs in several cases; “The Fortuneteller” and “The Blue Spirit” both illustrate this, as does “The King of Omashu”. In Azula and Hama’s case, it is used as shorthand for “evil”. Katara’s relationship with Aang goes from motherly to familial to kind of Oedipal by the end of the series. Katara’s eventual return of Aang’s feelings after rebuffing him also smacks uncomfortably of “getting the girl is the Hero’s Reward” trope. In “The Painted Lady”, at least, Katara is called out for cultural appropriation of the village’s spiritual protector. Katara also starts wearing her hair down and developing curves to show her growing up (and to emphasize her as a love interest). Avatar The Last Airbender is still available in very popular reruns nearly 10 years after its first airing: on Nicktoons for cable viewers. It’s also available on DVD. In non-American countries, the series is called Avatar The Legend of Aang. Avoid the movie The Last Airbender, though. M. Night Shyamalan’s live action venture into the world of Aang was largely considered a flop and criticized widely by fans for its whitewashing of the cast (doubly offensive since Shyalaman himself is a person of color and a professed fan of the series). IMDB gives it two stars. It gets only one star from Rotten Tomatoes. The series’ expanded universe appears in several graphic novels from Dark Horse that tell of Aang’s adventures after the final episode of season three, so those hungry for more have a lot to satisfy their appetite. The window into this world of benders continues on the series Legend Of Korra, which began in 2012 and is now in season 3 on Nickelodeon. The media-savvy people at Nickelodeon also show respect to the fans. The fans are referred to collectively as the Korra Nation and their devotion got the season two finale placed online days before it aired on the channel itself. 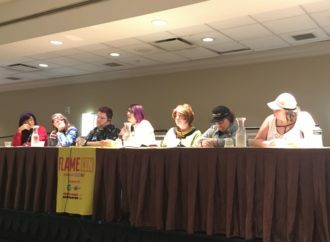 UPDATE: Legend of Korra creator posted to his Tumblr the first night of SDCC that Korea was going from traditional television airings to digital availability for the rest of its season after its July 25 episode. More as the story develops. Korra’s series takes place about 60-something years after the events of ATLA. Now senior citizens, Katara and Zuko have all made appearances and acquaintance with the next Avatar—16 year old Korra. Iroh has likewise done so. Adult Aang, Sokka, and Toph have all appeared in flashback. 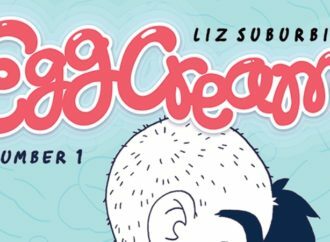 The writing and animation started off a little wobblier, but have definitely found footing. Legend of Korra follows in the footsteps of the previous series, with multiple character and story arcs, continuation of events that began in Aang’s time, and a wide cast which features many fully-developed female characters. There are events and even shot-for-shot images that hearken back to Aang’s series. What are you waiting for? Go set your DVR!